Guess what starts today? Marathon training! 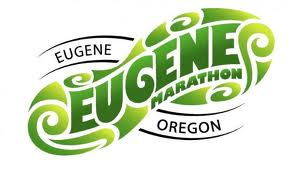 On January 1st I committed to running the Eugene Marathon, May 10th. I had been debating if I should run a spring marathon, or tackle a 50k or just contentrate on shorter races. The marathon is such a big draw for me. It’s a huge challenge, not just the day of the race, but all the training that goes into preparing for the marathon. For Chicago I ran over 600 miles in 18 weeks. That’s not including all the cross training. So Eugene it is. 1. Continue to find more people to run with, my pace. I have put myself out there all year, and have made a few runner friends, but I need to keep working on this. 2. Train smart and well for Eugene. 3. Plan a Fall Marathon or 50k. I turn 50 this year and was thinking about running a 50k but have not committed to any. 4. Learn a few words in Mandarin. We are going to Beijing in April and I would like to know a few basic words and phrases. 5. Read more books. Since I purchased my tablet in February I have read 16 books. That is about 12 more than 2013. Any favorite books? Has anyone been to Beijing and if you have what are your top 5 things to do? This entry was posted in Uncategorized and tagged Eugene Marathon, Running. Bookmark the permalink. 5 Responses to Hello 2015! I love your goals! I hear the Point Defiance 50K is a good one! I would do it but will be out of town. Great goals! Good luck on your Marathon training. Yes! I am so glad you are running Eugene! I am terrible at reading, but I did recently start Wild and am loving it.